This is where your child begins to learn to trust outside the bounds of immediate family. Your infant will grow to develop a strong sense of self, and will have the opportunity to create a bond with their peers. They will also begin to learn compassion. Through routine structure, your infant will become equipped with the necessary tools they need to enter into the toddler room. Our main focus is to provide the intimacy and comfort that every infant needs in order to blossom into a secure and confident individual. 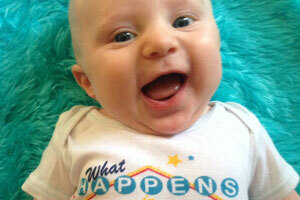 We provide a variety of activities to keep your inquisitive toddler happily occupied and stimulated. At a time when curiosity is at its peak, we strive to supply your child with an enriched environment and enhanced activities. We start our day with circle time, in which the basics of your child’s education are introduced and socialization and manners are emphasized. 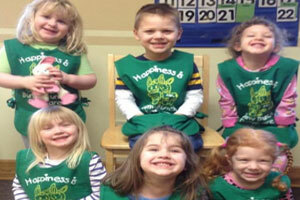 This class is designed to prepare your child for our Preschool program and to encourage positive behavior. Our main concentration is to create an environment that encourages independence and fosters the alleviation of separation anxiety. Our main goals are to develop self-esteem, self-reliance, and a love of learning. 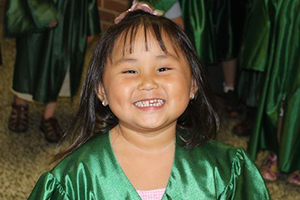 Our Preschool program is designed to be a precursor to our Pre-Kindergarten program which fully prepares your child for Kindergarten. Upon completion of this class, your child will have the skills needed to reap all of the benefits of and prosper in our Pre-K program. At Bunny Bunch Day Care, we take our responsibility of preparing your child for Kindergarten very seriously. We understand that the upcoming year may hold many stresses as your child adjusts to a new school, teacher, and classmates. These are just some of the hurdles your child will have to overcome as they embark on their journey into the world of scholastics. While we cannot control the experiences their futures hold, we can make sure that they have been supplied with a solid, well-rounded foundation. We provide a wealth of knowledge and experiences to ensure that your child has the resources and knowledge needed to blossom into an independent, successful student. 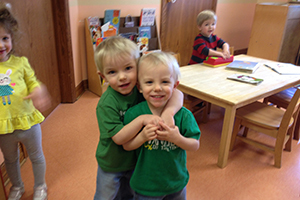 Morning and afternoon care is available for school age children at all three locations. At our Townline Rd. 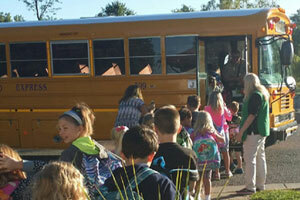 location busing is available to the Starpoint School District. At our Ward Rd. and Niagara Falls Blvd. location busing is available to the Wheatfield School District. Although children can only get a bus to Starpoint and Wheatfield schools during breaks, holidays, and snow days, full and half day care is available to children from any district. We also offer a fun and exciting summer program for school age children up to twelve years old. Contact us today to get more information!